Happy spring, Wagnerds! The first quarter of the new year has been an exciting one for Wagner. We received word that Wagner has moved up in the US News & World Report rankings, a true testament to the value of our robust degree programs (read more below). 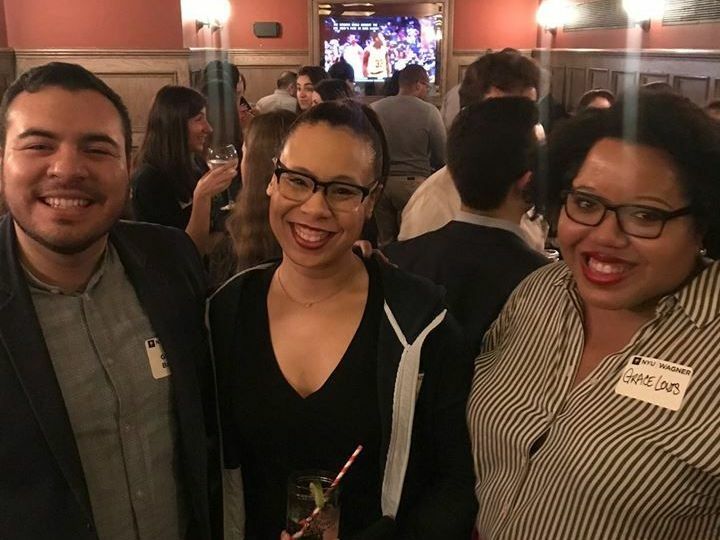 Our Recent Alumni Committee has been actively coordinating a series of networking mixers to provide a space for alumni to reconnect with former classmates and to expand their professional networks. We also welcomed the inaugural cohort of our brand new Online Master of Health Administration (MHA) program to the Wagner community. In addition to events and mixers, the Wagner Office of Alumni Relations is offering a series of alumni-specific professional development webinars. Stay up-to-date on events and programs by visiting the Alumni Portal, and please feel free to reach out to me directly if you'd like to propose a professional development topic or to showcase your area of expertise by co-hosting a webinar for the Wagner alumni community. I'm always looking for suggestions! I look forward to connecting with you all in the months to come. Please do not hesitate to reach out to me directly with thoughts, questions, or updates at any time. We are proud to announce that the just-released US News & World Report rankings of 285 public affairs and administration master's programs across the country place NYU Wagner at #7 overall in the nation—well ahead of all of its New York City peer schools. In specialty areas, NYU Wagner is #1 in Urban Policy, #2 in Health Policy & Management, #4 in Public Finance & Budgeting, and #7 in Nonprofit Management. The rankings are thrilling confirmation that NYU Wagner is one of the leading graduate schools of public service and is gaining momentum (up from #9 overall in 2018). We are grateful to the deans, directors, and department chairs of master's programs around the country whose votes acknowledge our distinction and success. Jess Riegel (MPA 2018) was featured inBustle magazine, where she discussed her digital platform Motivote, which she and her co-founders developed as their capstone project, and offers advice to aspiring female entrepreneurs. 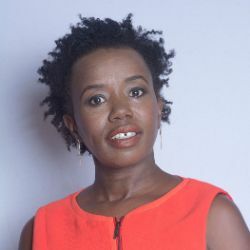 Carolyn Githinji (MUP 2008) was named as one of City & State's 2019 Women of NY Nonprofits for her work as Director of Foundations, Corporations and Government Relations at Catholic Guardian Services. 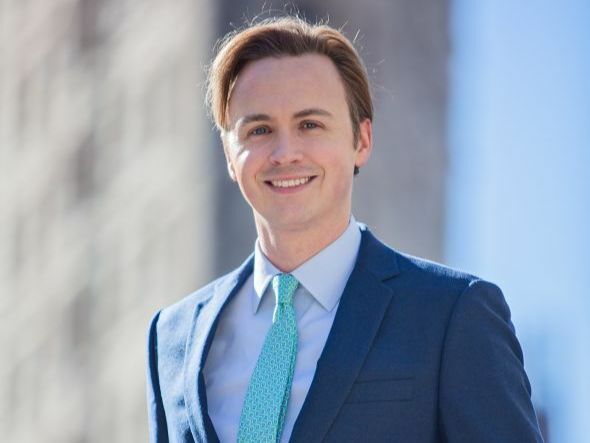 James Mettham (MUP 2010) was recently announced as the new Executive Director of the Flatiron/23rd Street Partnership Business Improvement District (BID), working to strengthen NYC's NoMad and Flatiron neighborhoods. 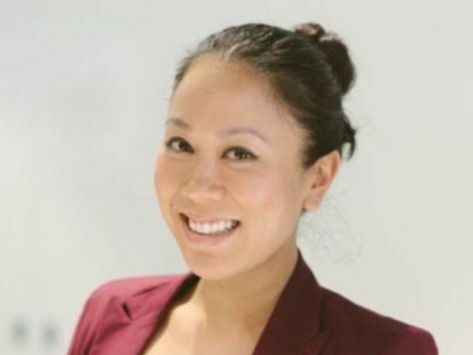 Shalane Yuen (MPA 2013) was welcomedto the South African Parliament by President Cyril Ramaphosa for her work as Executive Director of the Trevor Noah Foundation, which works toward equipping orphans and vulnerable youth with education and life skills. 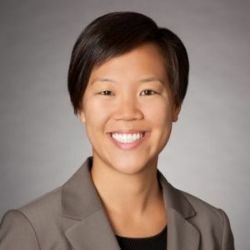 Frances Liu (MPA 2012 and Bohnett Fellow), Vice President of Strategy for Community Development at Citi, was honored by Cabrini Immigrant Services at their 20th Anniversary Benefit for her extensive work in support of New York's immigrant community. 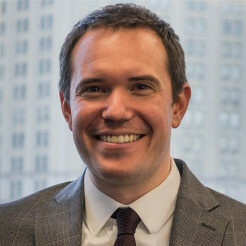 Matt Murphy (MUP 2011) was recently appointed as the new Executive Director of the NYU Furman Center for Real Estate and Urban Policy. 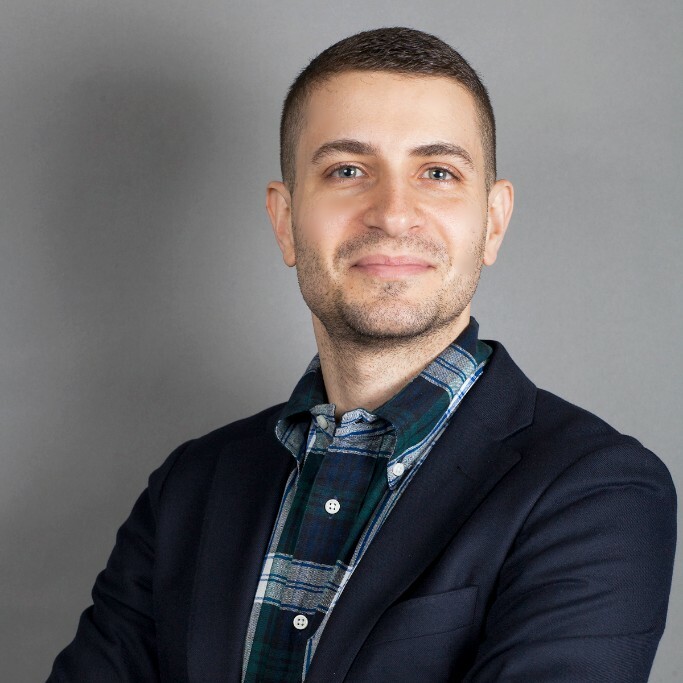 He will join the Furman Center after eight years in city government, most recently with the NYC Department of Housing Preservation and Development (HPD). 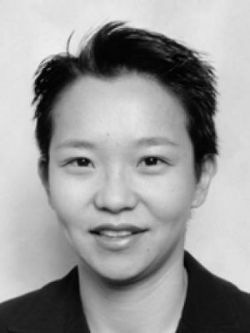 Professors Sewin Chan and. 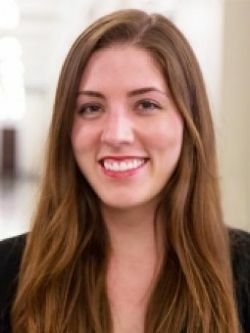 Katherine M. O’Regan co-authored a paper titled “Geographic Mobility and Parental Co-residence Among Young Adults,” as part of the Peter G. Peterson Foundation’'s US 2050 project, which is aimed at creating a more comprehensive view of our economic and fiscal future — and the implications for the social and financial well-being of Americans. 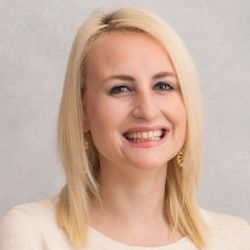 Professor of Public Service, Jenna Brayton is featured in “Yes She Can,” a new book that reflects on her and her colleagues' collective experiences working for President Barack Obama at the White House. Jenna is was a member of the White House's Office of Digital Strategy – a team tasked with helping President Obama find his voice online. The Recent Alumni Committee kicked off their Industry Networking Series with the "Alumni in Government" Mixer. 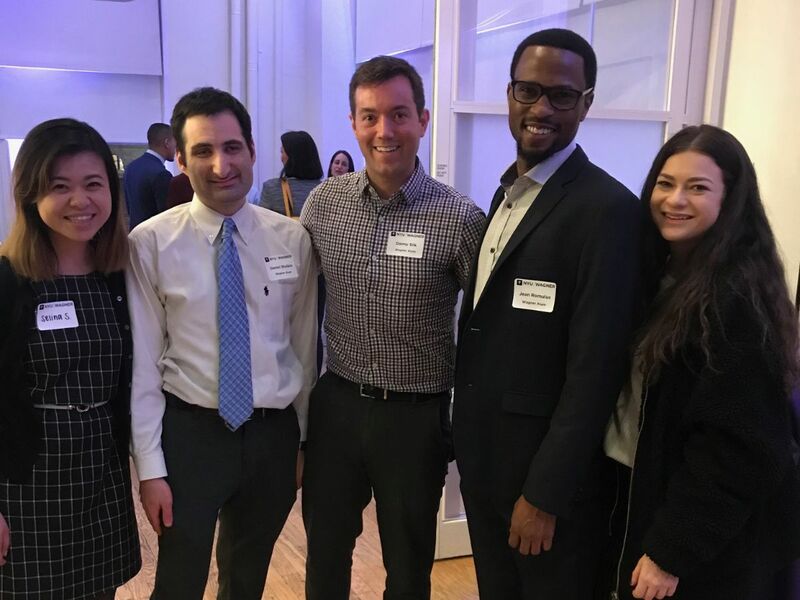 Alumni in the healthcare field enjoying a networking reception following the 23rd Annual Kovner-Behrman Health Forum. April 13th -- Wagner Cares Day of Service: Join alumni in New York, Los Angeles, Washington DC, and the Bay Area for a day of volunteering during the 7th annual Wagner Cares Day of Service! View a complete list of NYU Wagner events. Let us know what you've been up to since graduating from Wagner! Complete the Alumni Profile Form to showcase the important work you're doing, as well as your insights and reflections on your time as a Wagner student. Your profile may be featured in the Alumni in Action page on our website. Learn about all the ways you can stay connected to the Wagner community, including joining one of the Alumni Affinity or Regional groups, recruiting on campus, accessing the Office of Career Services, and more.